Can we use our Highfive device with a projector? Generally, we do not recommend using Highfive with a projector. 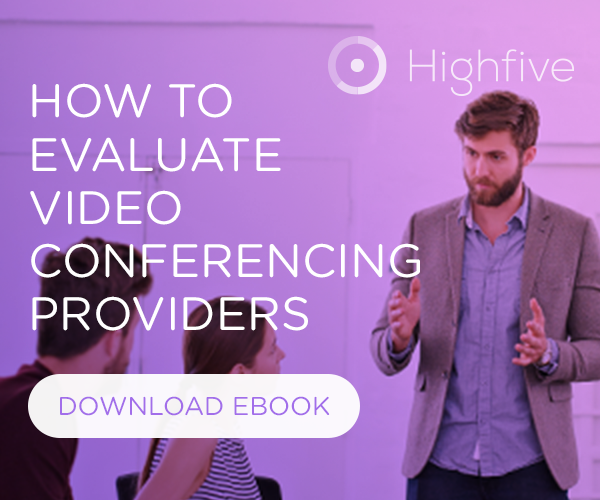 Highfive can work with a projector that has an HDMI input and supports 720p-1080p. Although, we do not necessarily recommend this because of issues like audio latency, poor quality from the projector speaker, and darker ambient lighting in projector rooms. Having the Highfive device pointed at the projector also causes light/brightness issues. Nowadays large TV's are much more affordable and in general, are a little better. If possible we recommend using a TV for your Highfive Conference Room setup. For assistance with setting up Highfive Hardware or if you have any questions, please contact Highfive Support at help@highfive.com.